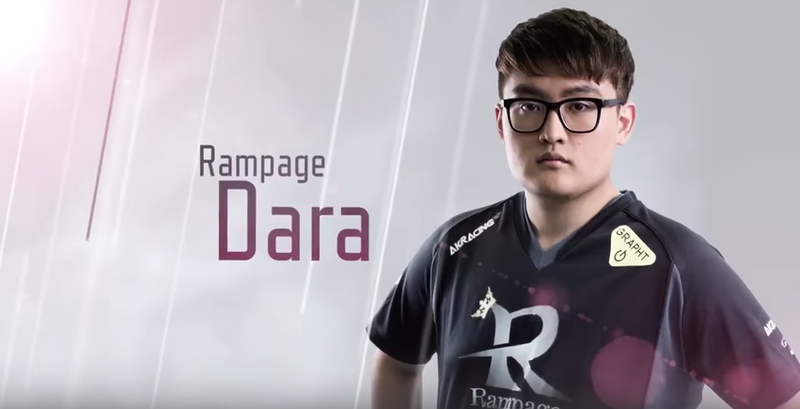 Dara most recently played for SCARZ Burning Core, but before that, he was a member of the Tokyo team Pentagram, which was previously known as Rampage. According to Inven, Japan’s League of Legends league, LJL, punished Pentagram in February with a three-month ban for staff Nakamura Hiroki and Fujita Takuya. DBLTAP adds that Pentagram was issued with a loss for 2018 LJL Spring Split’s first five rounds, putting the team at an immediate disadvantage. Dara and fellow Korean citizen Lee “Tussle” Moon-yong received verbal warnings. Tussle and Dara left Pentagram last November, with Tussle landing at Unsold Stuff Gaming. All foreign residents in Japan are required to carry resident cards and must show them any time police officers ask. Even if you have permanent residency like I do, you still must carry that card. “If you don’t carry residence card,” the Immigration Bureau of Japan writes, “you may be punished with a fine not exceeding 200,000 yen, and if you refuse to present it, you may be punished with imprisonment for not more than one year or a fine not exceeding 200,000 yen.” That’s around $1,800. If your card is stolen, you must report it to the police and reapply. It’s a huge hassle. The verbal warning both Dara and Tussle received was for not carrying their resident cards with them. However, even though all foreigners must carry their resident cards at all times, Dara alleged that Pentagram management took the resident cards and made threats. Pentagram, however, said this was merely miscommunication, and the team was holding onto their cards while waiting to hear from immigration. As Inven reports, Dara alleged that Pentagram’s Fujita “didn’t ‘temporarily’ hold onto our cards. I heard him say, ‘If you don’t leave your card here, you can’t leave the team.’” According to Inven, Dara also claimed that Fujita said, “This residence card is the property of the team.” Tussle, Inven adds, did not make such public statements himself, but did retweet what Dara wrote. In these tweets, he once again recounted his allegations about how his resident card was taken away, adding allegations that he was shouted at. There was pressure and, being in a foreign country, he felt powerless. He was hoping he’d receive a formal apology, but did not and says he feels stupid for thinking that and felt sad. He said he didn’t want to be in a world in which the penalty for what he experienced was only three months, so he is retiring. Dara apologized to his fans and thanked SCARZ Burning Core for the opportunity and said he looked forward to watching his Burning Core teammates grow. The team wished him well, thanking him.